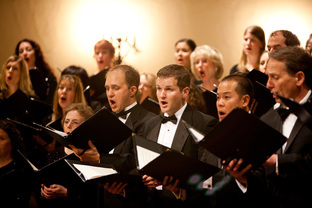 For over 50 years, the Santa Clara Chorale has been able to bring music to a wide and diverse audience through the kind and generous support of the community. Please consider adding your support today! The funds the Chorale raises through ticket sales account for approximately 25% of our annual income. But as the costs for everything from purchasing music to hiring instrumentalists and soloists continue to rise, fund raising efforts are especially important. 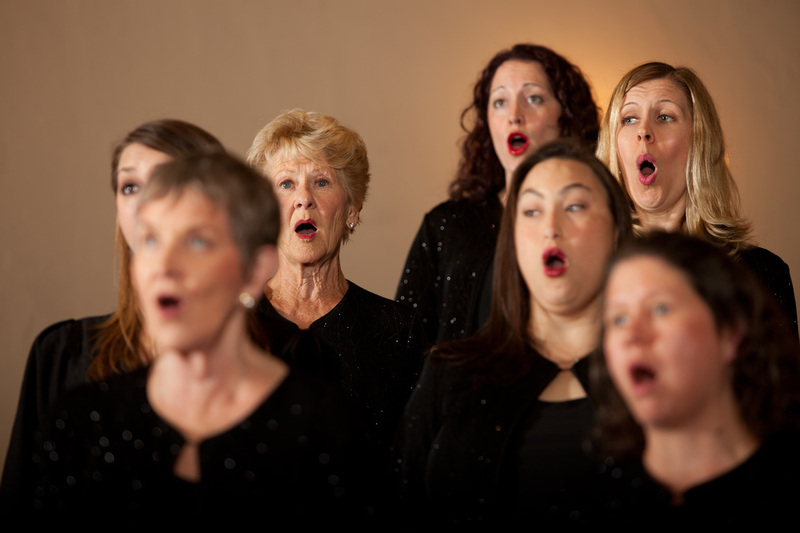 Whatever the size of your gift, every cent goes to support our choral music programs. Your donations allow the Chorale to perform in the beautiful setting of Mission Santa Clara as well as in other Bay Area locations. Our programs include children, high school, and college age music students who come to learn and perform with the Chorale. Your generosity also allows us to hire professional soloists and orchestras, perform in community concerts, and provide affordable ticket prices including senior and student discounts. Your tax deductible gift makes a difference. A contribution of $25 buys a major choral score for a singer; $150 pays for one evening of a rehearsal accompanist's time; $250 pays for a professional soloist or an instrumentalist; $1000 pays for a soloist quartet or instrumental quartet. If you prefer, you may donate online through PayPal for non-profit organizations. Please click on the "Donate" button to the right of this page. Consider increasing the value of your gift by asking your employer to match your contribution or to sponsor a concert or orchestra performance. Contact the SCC Hotline at (408) 883-4722 or send an e-mail at info@scc.org to find out more information or to answer any questions. Become a supporter of the Santa Clara Chorale simply by shopping! The Chorale is a part of the eScrip Program. Participating merchants donate a percentage of the sale directly to the Chorale. To learn more about the eScrip Program and become a supporter, simply go to www.escrip.com and click to "Sign Up". Look for "Make a Difference in Four Easy Steps" and follow the prompts. You will find buttons to choose the group you are supporting. Type in "Santa Clara Chorale" and follow the instructions. The Chorale is also affiliated with Amazon.com. By making your Amazon purchases through our links on this page, the home page, and Ryan's Blog, you are supporting the Chorale simply by shopping. Like eScrip, a percentage of the sale is donated directly to the Chorale. The Santa Clara Chorale also participates in the S.H.A.R.E.S. Card Program. Obtain a card from the Chorale and use that card at participating stores such as Lucky, Save Mart and FoodMaxx Supermarkets. Contact the SCC Hotline at (408) 883-4722 or send an e-mail to info@scc.org to receive a card.